Oh man Mariah Yeater is really going to wish she hadn’t tried to pin that baby on pop star Justin Beiber. 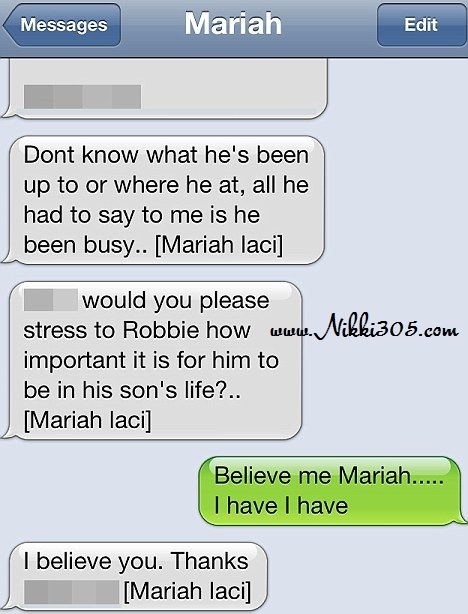 A friend of hers who did not want his name to be shared sent text messages to TMZ where Mariah asked him to delete all messages where her mother had said that her baby belonged to her ex boyfriend. SNITCH! 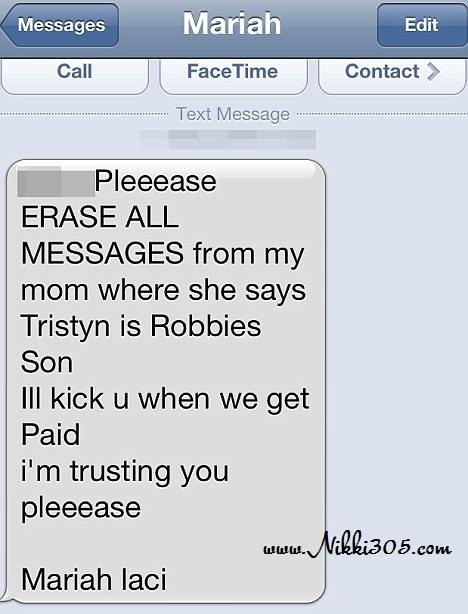 He also shared the text messages to Beiber’s lawyer. Next PETA Is Not Happy With Kim Kardashian See The Billboard They Will Post Of Her Next Month!